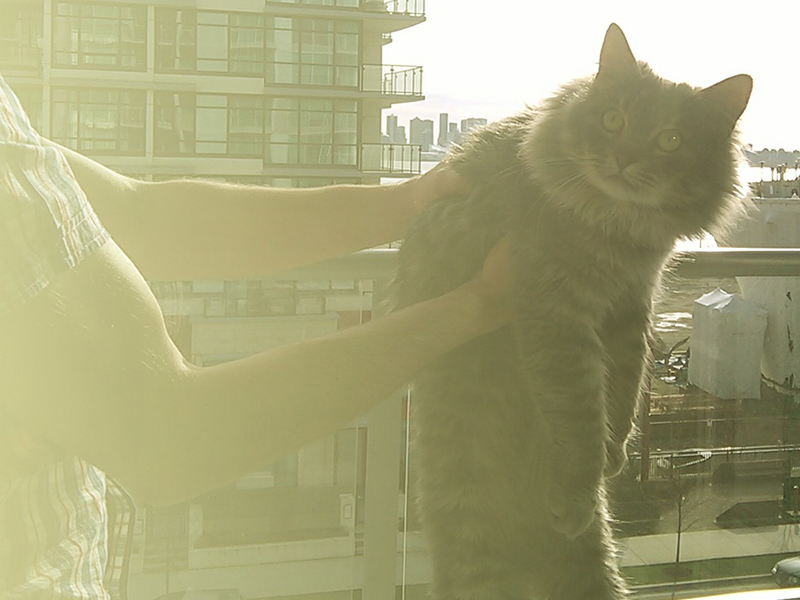 Celebrating the first sunny and not frigid weekend with...a baby Lion King impression! Also, lots of wine and relaxation on the balcony. I don't know what Meowface is looking at in these photos, but he sure looks lovely in all that eyeliner. THIS is a Pinkberry salted caramel frozen yogurt with cookies and cream, brownie bits, cinnamon streusel, heath bar pieces (which I'd read as health bar pieces), and fruity bears. 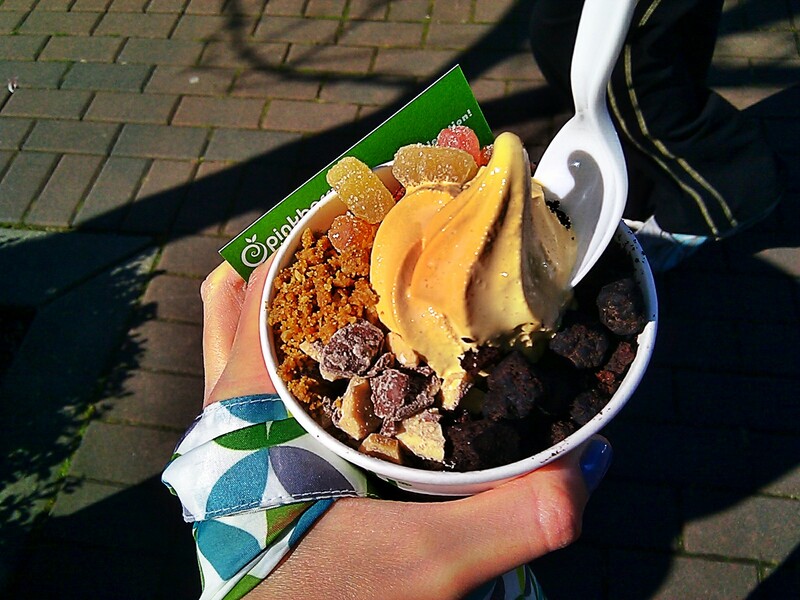 I'm already thinking about what I'm going to get next time...mango yogurt with fruit for sure. Yum! 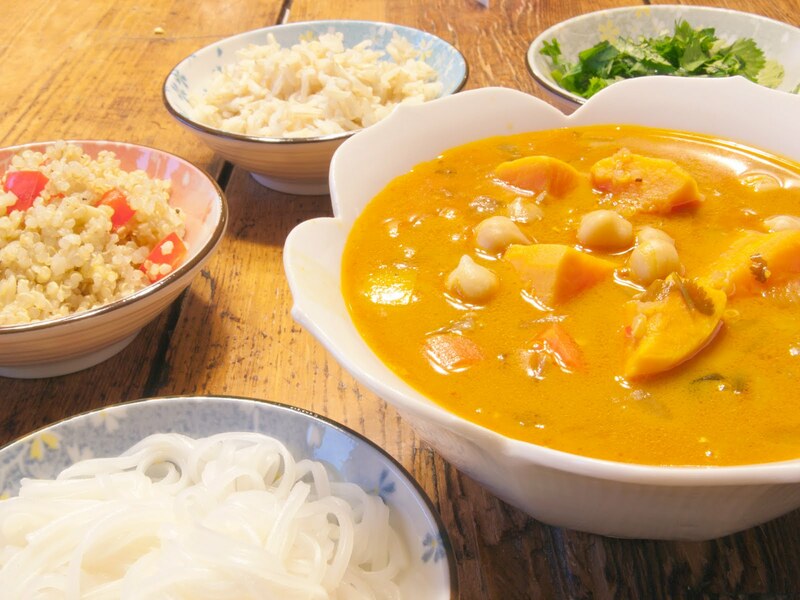 While this coconut red curry soup with sweet potatoes and chickpeas is delicious and hearty on it's own, it's even more filling with a few spoonfuls of rice, quinoa, or noodles. And although I love a good soup, I don't always love eating the same one everyday for three to four days in a row. But by switching up some additional ingredients, leftovers can be a new-ish meal every time. One day, I even reheated this soup in a pot with an egg dropped in the middle. Stirring the egg into the soup created a thicker, stew-like dish. In a large pot, heat oil over medium heat. Add onion and half the red peppers, and cook until onions are translucent. Next add jalapeño, curry paste, garlic, and ginger. Cook for 2 minutes, then mix in sweet potato cubes and chick peas. Stir in coconut milk, vegetable stock, tamari, brown sugar, and chili paste. Let simmer for 10 minutes, then add remaining red peppers, carrots, and cilantro stems. Cover, and let simmer for another 10 minutes (or until sweet potatoes are cooked). 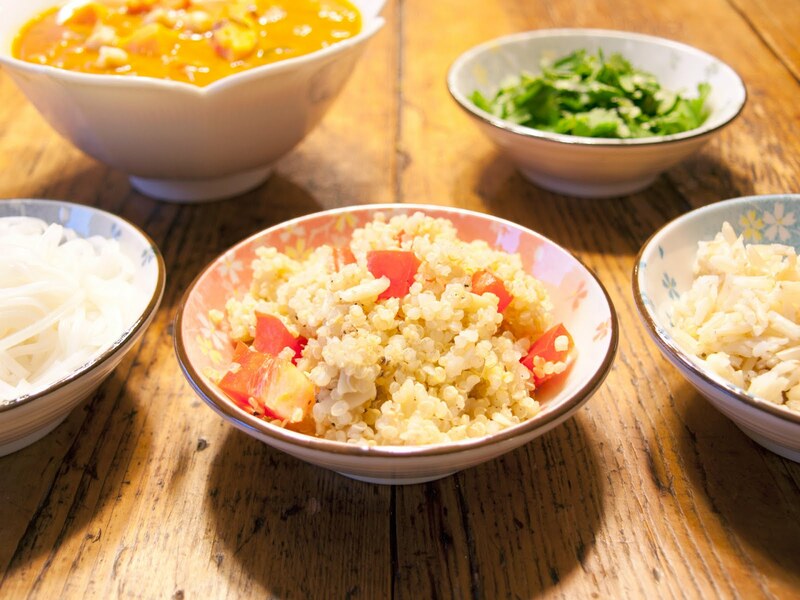 Dish into bowls with fresh cilantro leaves. 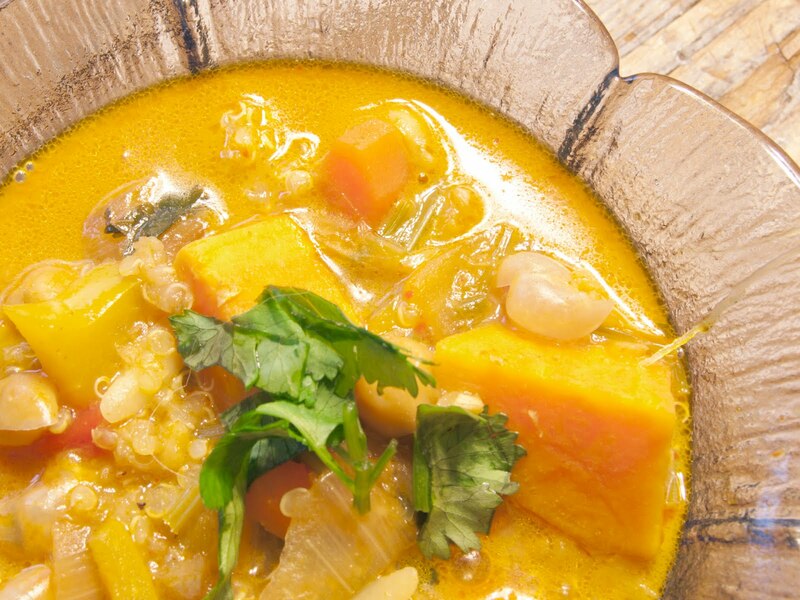 For an even heartier meal, serve with rice, quinoa, or rice noodles. Yum! 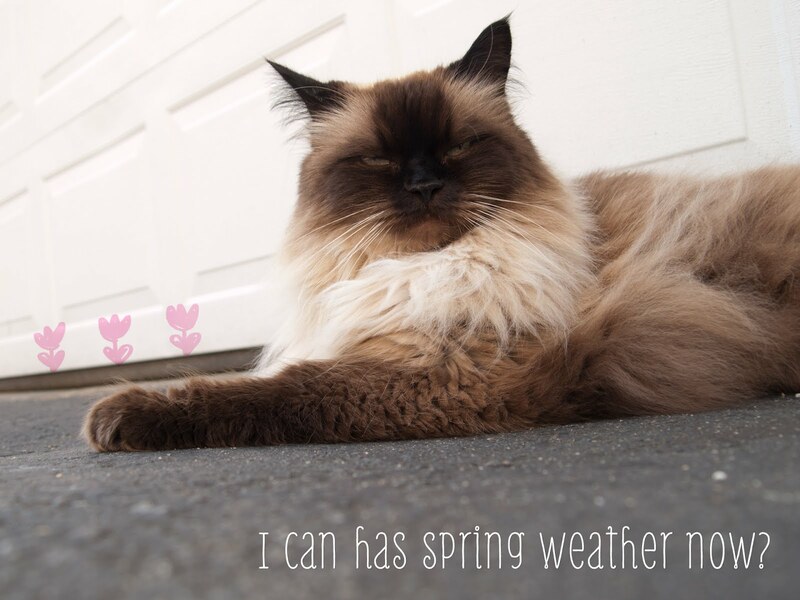 Happy Spring from one lug of a Ragdoll cat, Mickey. 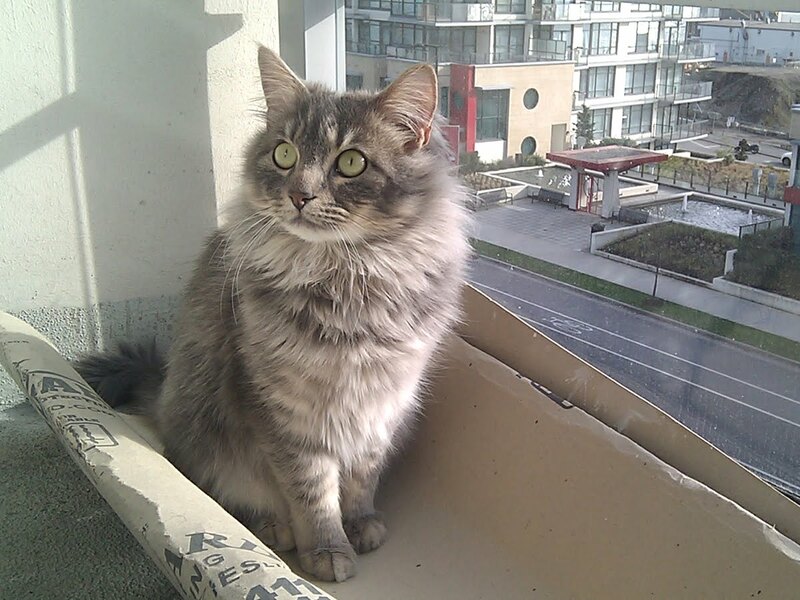 We're both a bit peeved with the the current state of this chilly Vancouver weather. Good thing Mickey has that winter jacket! I don't know about you, but my experience with store-bought tofu is that it never tastes as good as it does when served at restaurants. Probably because I don't deep fry it, and restaurants are obviously using some sort of secret tofu that's not available to the public. How frustrating! Well here's a tip to make your tofu taste about ten million times better than it usually does: freeze it. 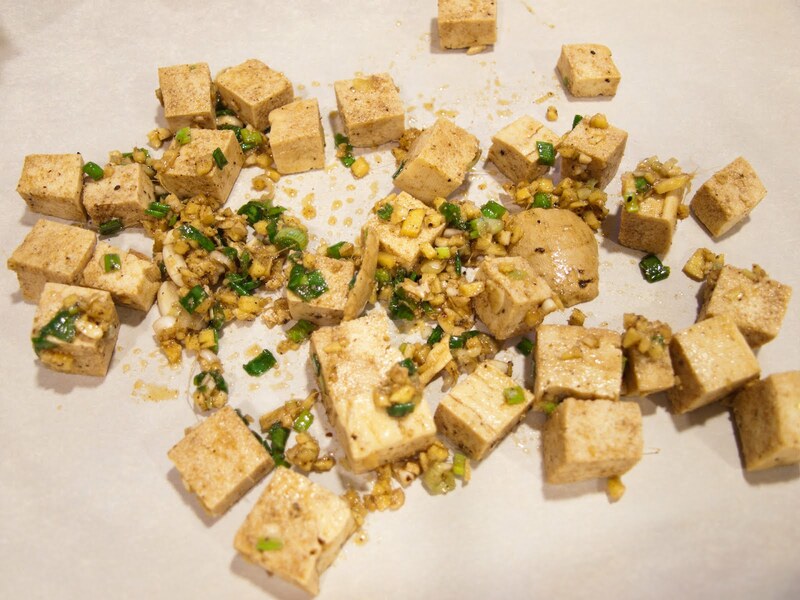 Simply place your tofu package into the freezer and it'll take on a much denser, meatier texture when it defrosts. Then marinate using fresh ingredients and bake until golden brown. Once the tofu had marinated for at least an hour, I spread the flavour-infused pieces onto a parchment-lined baking sheet, being careful to arrange them in a single layer. I popped them in the oven at 400° F (200° C) for 30 minutes, flipping the pieces over midway through. I also tossed in some slices of carrots and mushrooms during the last 10 minutes of baking. Broccoli and cauliflower would have been good, too! 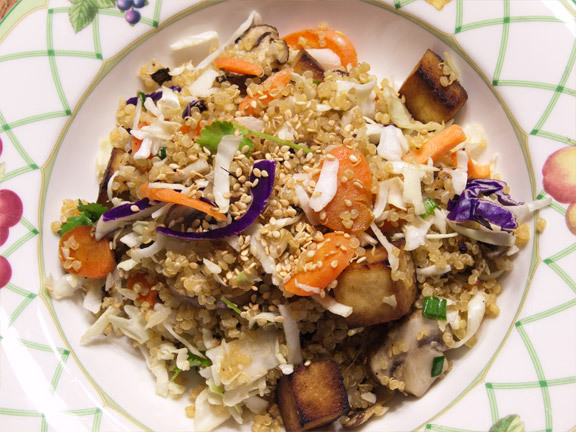 Once everything was baked to a glazed golden brown, I mixed the roasted goodies in with some cooked quinoa, a few handfuls of shredded cabbage, fresh cilantro, and another serving of the marinade. In a large bowl, mix together rice vinegar, tamari, sesame oil, honey, ginger, garlic, and green onions. Set half aside to use as the dressing. 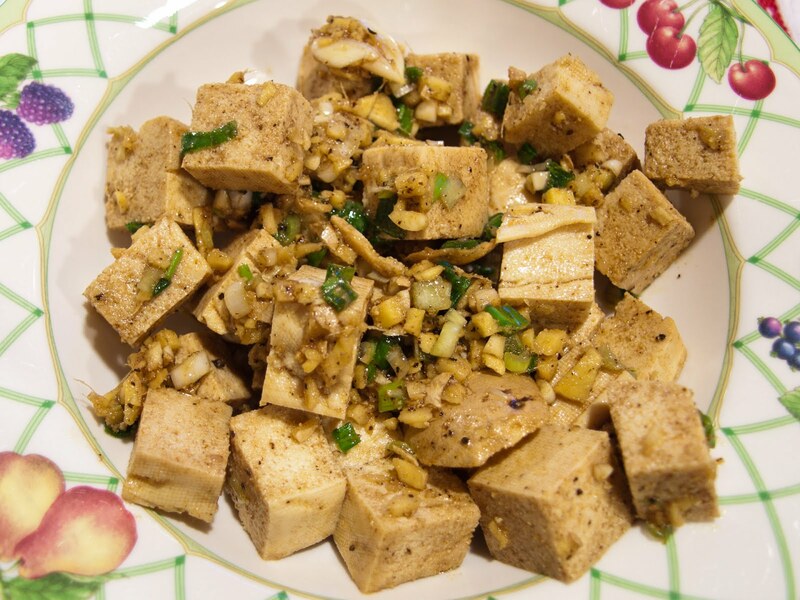 Mix the other half with the drained tofu cubes and place in fridge to marinade for at least an hour. Overnight would be even better. Arrange the marinated tofu in a single layer on a parchment-lined baking sheet, and bake in a pre-heated oven, at 400° F (200° C) for 30 minutes, flipping halfway through. Add carrots and mushrooms during the last 10 minutes of baking. Cook quinoa according to package directions then place in a large bowl. 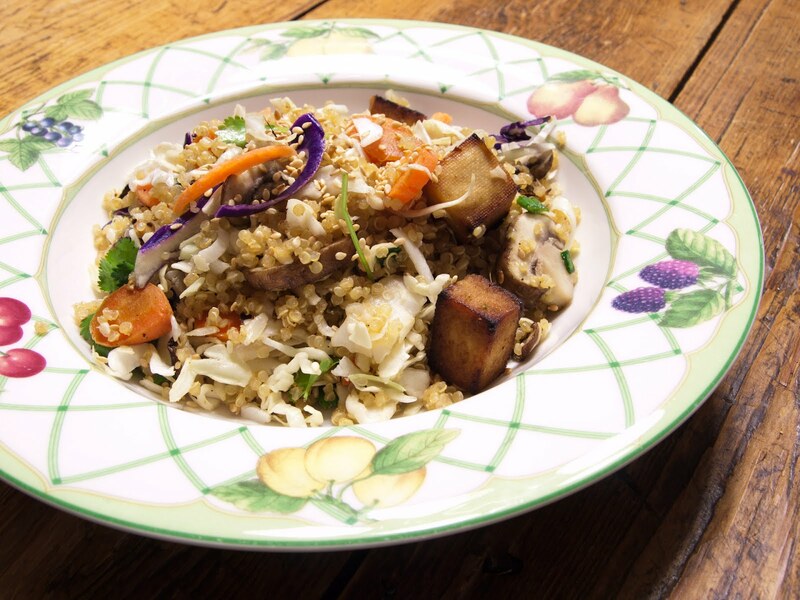 Mix in baked tofu and veggies, cabbage, cilantro, and reserved dressing. Season with freshly cracked black pepper, and serve sprinkled with toasted sesame seeds. And enjoy the mix of flavours! What makes this dish so good are the opposing tastes and textures. The meaty bite of the baked tofu with the crisp cabbage. The combination of fresh ginger, sweet honey, salty tamari, and peppery cilantro. 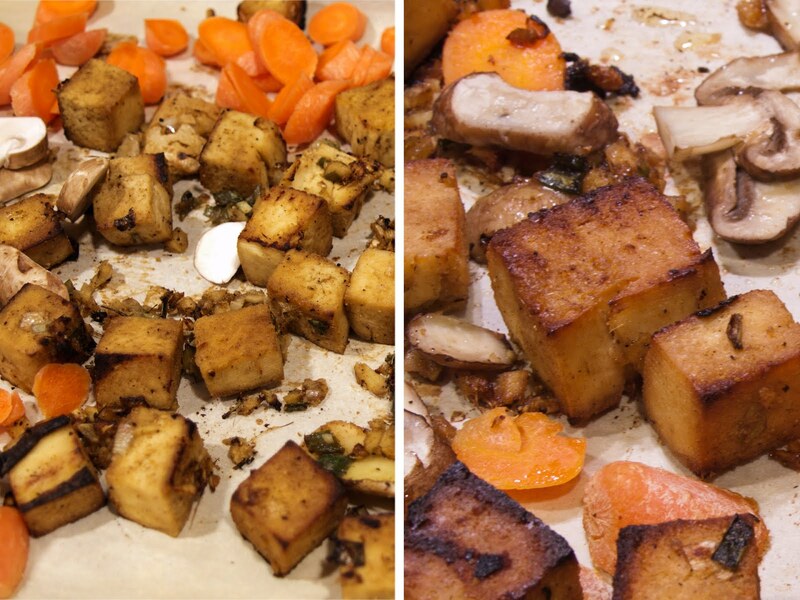 The honey also helps caramelize the tofu, adding to its roasted texture, so make sure you don't skimp on it. 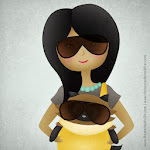 All artwork and photographs copyright © 2012 Jasmine Habart. Okay, let me start by saying that I'm not usually one for trendy nails. But within the right context — a trip to Anthropologie — I saw that pastel-coloured french tipped nails could be quirky-chic and oh so spring-like. Thank you, Sales Associate, for showing me the way. With a technique inspired by The Beauty Department, I used reinforcement stickers to paint my raspberry tipped coloured french manicure. 1. I painted two coats of Revlon's Colorstay Longwear Nail Enamel in Provence 040, a dusty light lavender grey colour. I tried to let the first coat dry completely before applying the second. 2. Once completely dry, I cut the reinforcement stickers in half and applied the half-circle to the tips of my nails, pressing them down firmly. 3. 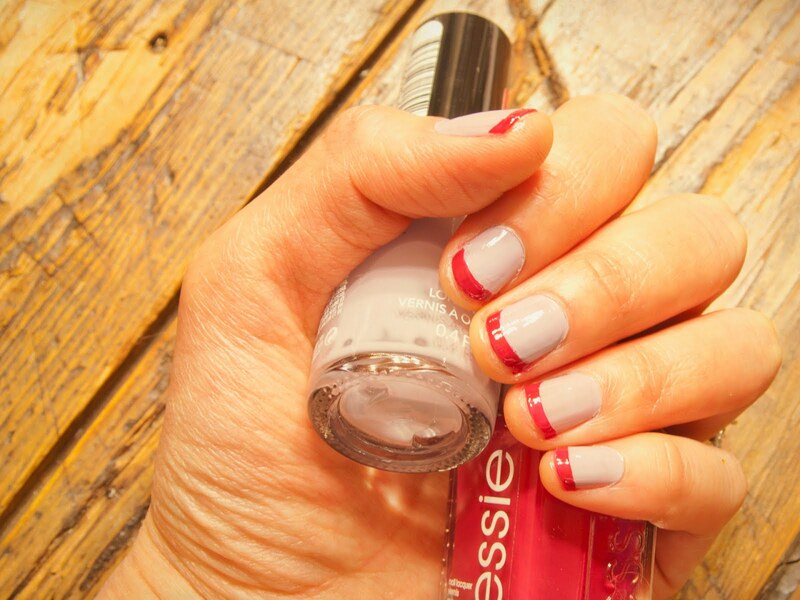 I then applied Essie Plumberry to the tips, working from one side of the nail across to the other in one swipe. **I had to redo a few nails because I was making dinner and kept smudging them (obviously). 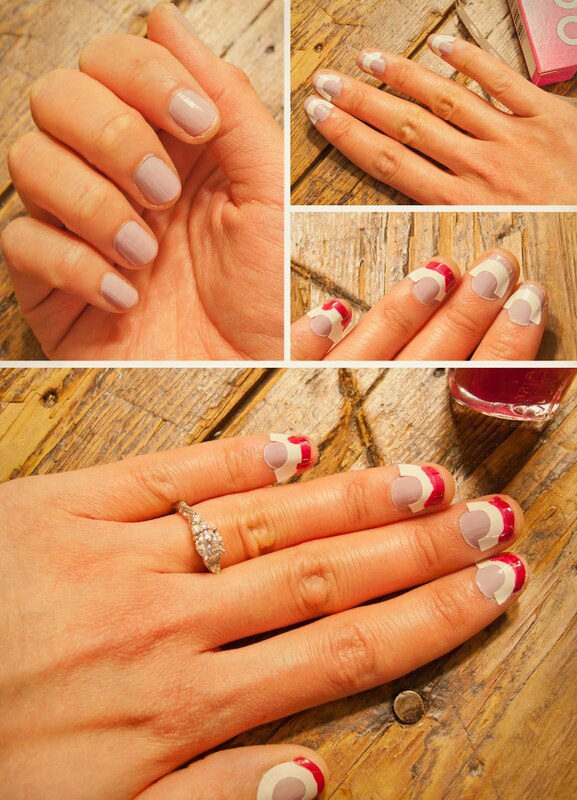 What made things a lot easier/way less messy was applying a strip of scotch tape under and across the tips of my nails. 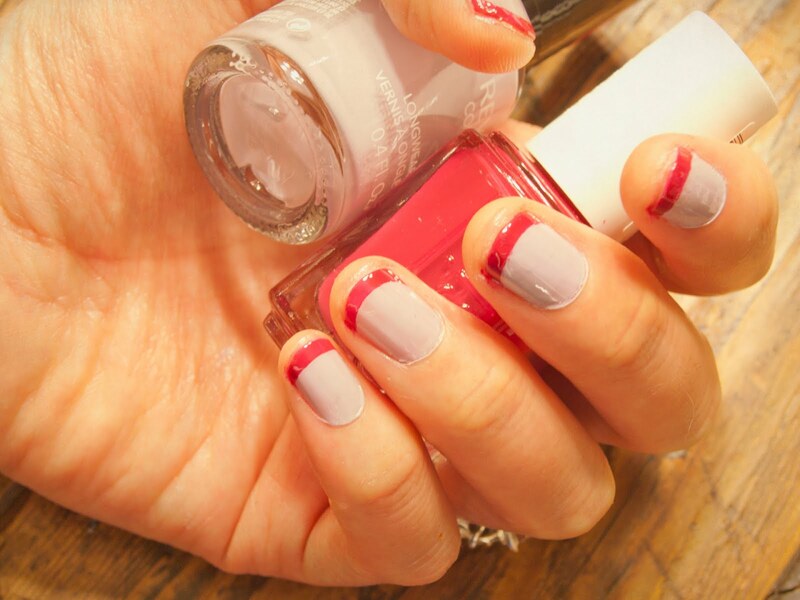 This way, instead of inadvertently painting the skin under my nails and having to scrub my fingertips with a Q-tip dipped in nail polish remover — and consequently taking off some of the polish on my nails — I could simply peel that excess polish away! And this allowed for much more of an Et voila moment! 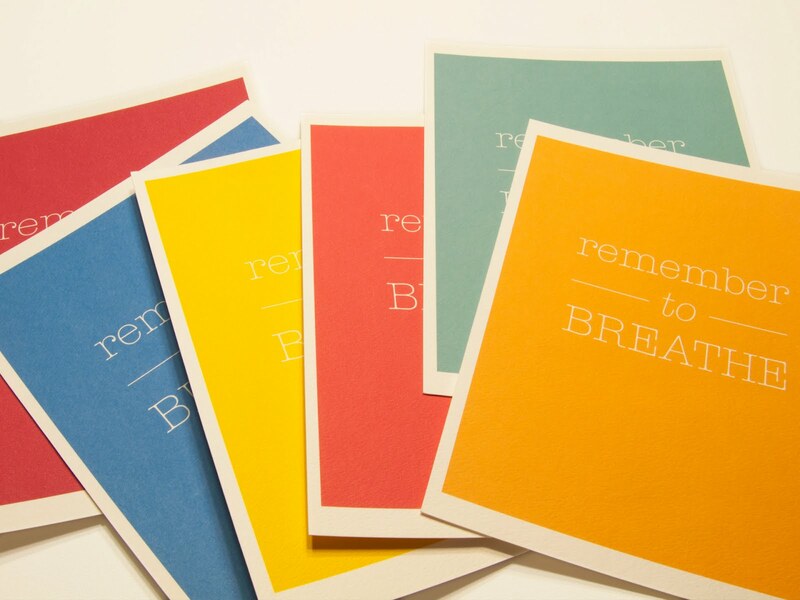 Remember to breathe...in six new colours! 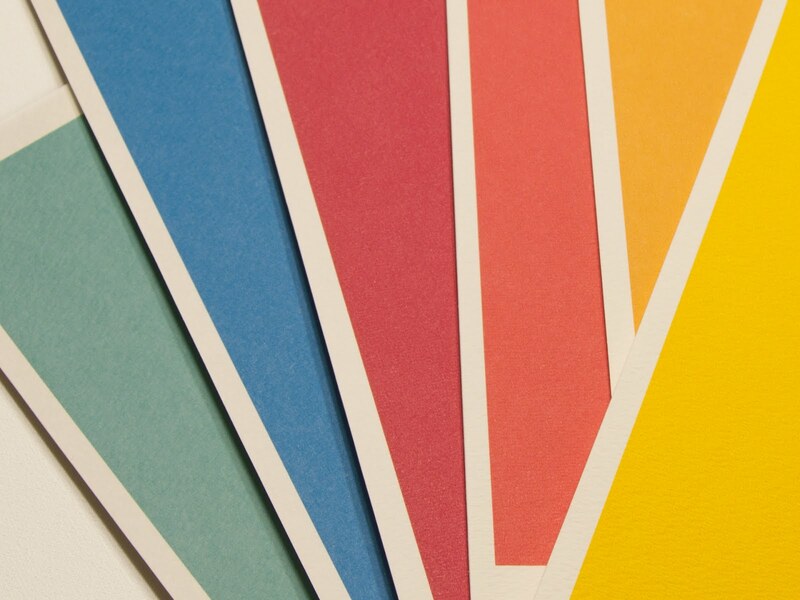 Blue, seafoam, orange, watermelon, fuchsia, and yellow. My favourite? This Le Creuset-insprired blue! 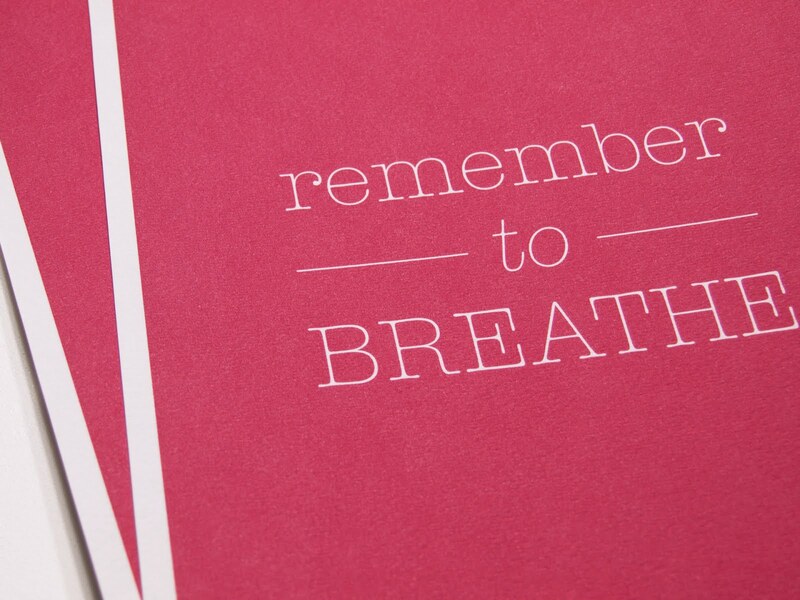 Remember to breathe - in fuchsia print. 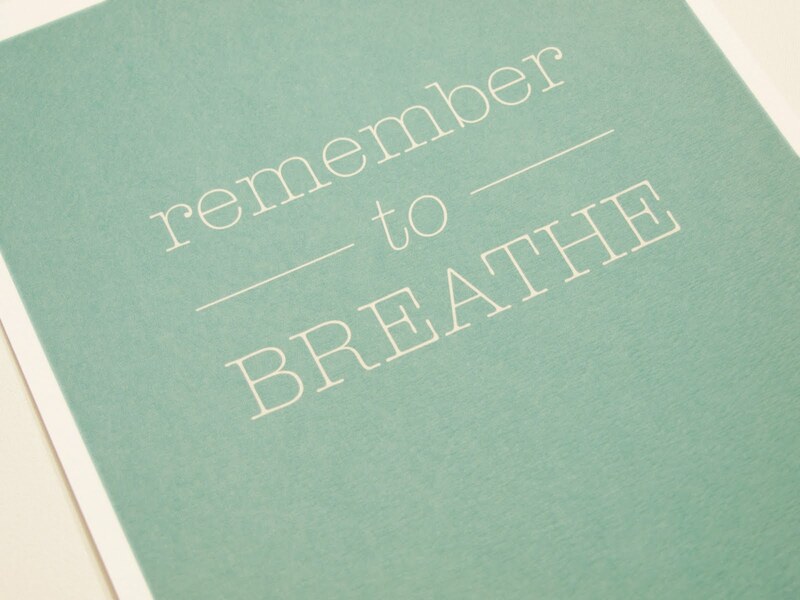 Remember to breathe - in seafoam print. 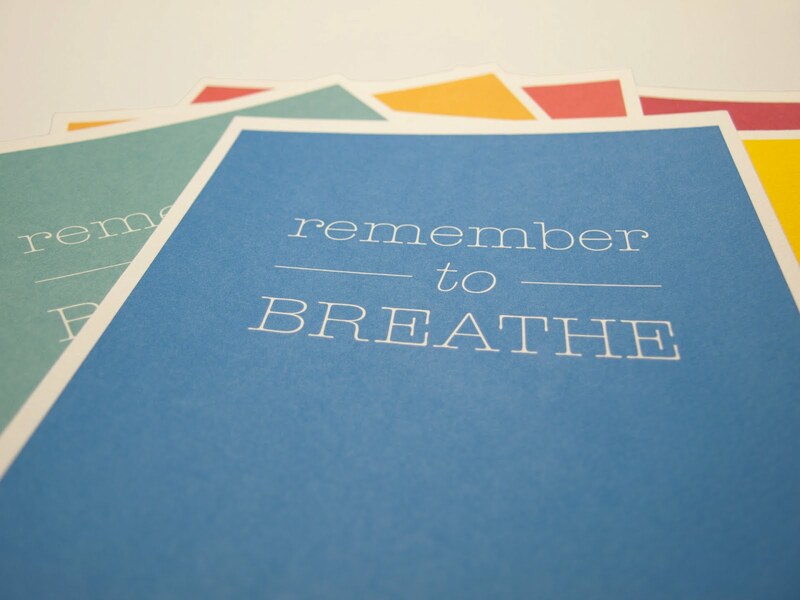 All prints available through Etsy. 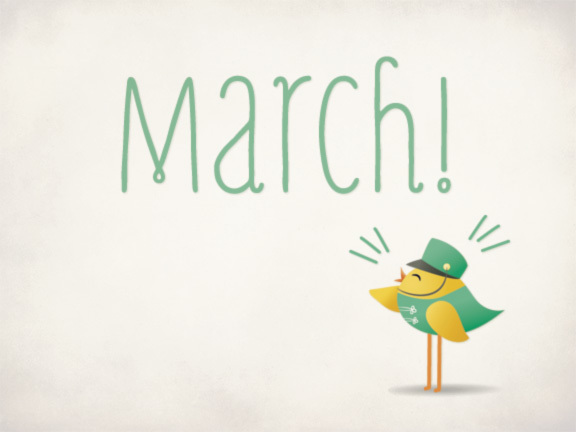 Wow, when did March sneak up on us? It feels like this year just started. Oh well, I'm looking forward to the start of Spring!